Finding it difficult to put your creative abilities into concrete words? 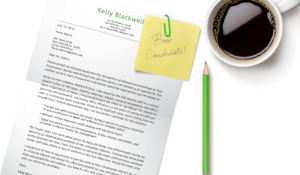 Our core resume writing tips for graphic designers should get you on the right track. Plus, feel free to download our graphic design resume sample for reference! Senior Graphic Design Specialist with 6+ years of experience in the management of the complete design process, from conceptualization to delivery. Expert at interdepartmental coordination and communication. Skilled with Adobe Creative Suite (Illustrator, Photoshop, InDesign) Microsoft Office and web design applications (Dreamweaver, HTML). Able to stretch the boundaries of web design and digital storytelling to help my client’s brands stand out. A B2B marketing firm that has helped over 200 companies position, promote and market their unique brands. Oversee the efficient use of production project budgets ranging from $2,000 – $25,000. A full-service ad agency devoted to the well-planned execution of customized direct and digital marketing campaigns. Developed numerous marketing programs (logos, brochures, newsletters, infographics, presentations, and advertisements) and guaranteed that they exceeded the expectations of our clients. Managed up to 5 projects or tasks at a given time while under pressure to meet weekly deadlines. Recommended and consulted with clients on the most appropriate graphic design options based on their overall marketing goals. Created 4+ design presentations and proposals a month for clients and account managers. As a critical member of a company’s sales and marketing teams, a graphics designer must harness the power of visual concepts to stimulate an emotional response among consumers. Graphic designers not only need to be masters of art and technology, but more importantly they must have a knack for communication as well. As a whole, the job outlook for this field is below the average growth of all occupations. This is due to the fact that industry is in a transition phase. The print sector of the graphic design field is projected to see a 16% decline in job growth by 2022. On the other hand, positions in the digital sector are expected to grow by 35% in the same period. Digital design is a broad discipline that has become ultra competitive due to more employers turning to freelancers from all around the world as a cheaper alternative to complete their projects. This has made it more difficult to for those in the field to find steady work, as well as increasing competition for highly coveted in-house positions. So whether you are trying to obtain freelance projects or find a steady position with a large company, it’s clear that you need to attract the attention of clients and employers. The first step is to craft a graphic design resume that addresses the specific project or position. Look at the resume to your right. If you Google ‘graphic design resume’, you are bound to find examples just like this one. The problem with these creative formats is that they have minimal flow and are too complicated for an HR rep to easily find what they are looking for. That’s even if their resume is lucky to make it through an applicant tracking system first. Unlike the example to the right, our candidate (Lindsey Peruza) has created a graphic design resume with a natural flow – one that effortlessly guides the reader through her skills and experience. Peruza’s resume starts off with a professional profile that introduces her most relevant skills, experience, and achievements. The general rule for graphic design resumes is to add a link to your website or online portfolio instead of gussying up your actual resume. This way, the employer can see the full range of your work and not just what you’re able to squeeze into your application. This position emphasizes the ability to coordinate, cooperate, multi-task, and be involved in the entire design process. Now let’s compare an experience section from an actual creative resume with Lindsey Peruza’s. When comparing the two, try to find evidence that the applicant has any experience that meets the responsibilities of the job posting above. If you were the hiring manager for the position, which applicant would you be more confident in hiring? I think it’s fair to assume that choosing Lindsey’s graphic design resume would be the safer bet for this position. Her bullet points match up well with the responsibilities listed in the job advertisement. With regards to the creative sample, most hiring managers would agree that it does a poor job detailing their past responsibilities. The graphics do nothing to enhance their experience, and if anything they make the section more confusing. Before applying for a position, use the job listing to your advantage. Pinpoint the key competencies the employer is looking for and include them into professional experience section. Having a hard time writing each bullet point? Check out our guide on writing an achievement-based resume. Every bit of space on your resume is precious. Use that space to highlight competencies like HTML 5, MySQL, and php – a hiring manager is looking for such information, and doesn’t want to slog through a bunch of graphics to arrive there. If you find that you simply can’t squeeze all your skills into the professional experience section, then feel free to include an additional skills section as Lindsey does in her own. It’s important to keep in mind that one of the main duties of a graphics designer is to create a guided experience that clients can easily follow and find an emotional attachment to. Make sure you keep that in mind when writing your resume. Now just because you shouldn’t go crazy with the layout of your resume, doesn’t mean that you can’t get creative. We’ve just added a new library of stylized resumes, and they add some fun elements that will make your resume stand out from the crowd. Download any (or all) of our free and glorious resume templates today, and check out our resume style guide to find more tips on how to customize yours to your preferences.